In a Molecular Dynamics simulation, the correctness of input structures is crucial. Small errors in the input structure may cause MD simulations to became unstable or give unrealistic trajectories. The purpose of the initial Structure checking page is to check for the most common problems in the input of MD simulations, allowing the user to select possible solutions when available. 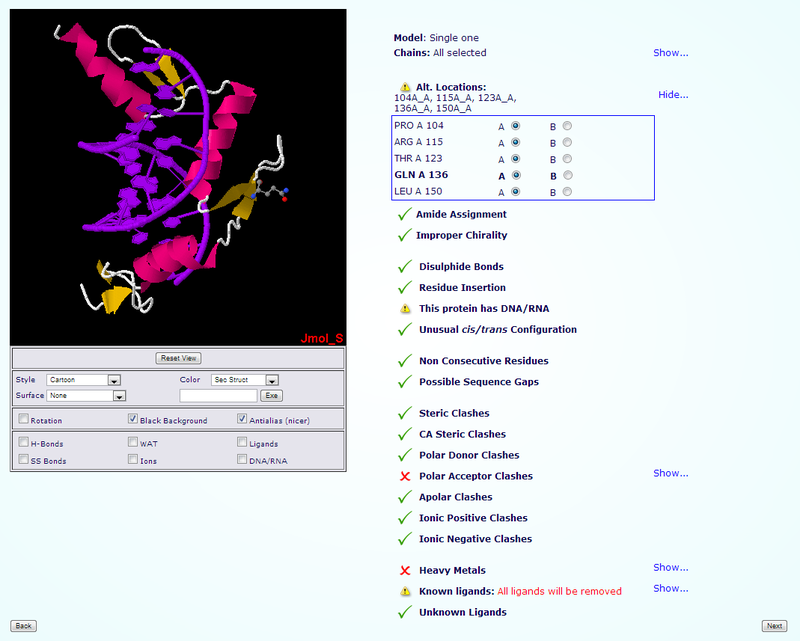 Besides, structure checking allows to select fragments of the system to be simulated in the case that alternate models or multiple subunits are present in the incoming structure. An interactive JMol applet window provides additional help in assessing the significance of errors found. Please note that MD itself can correct some of the problems found (specially steric clashes), but other can be only be corrected by editing the structure beforehand. Warning: important information or options to choose. Error: will probably cause MD failure. Please note that in case of having a protein-DNA/RNA complex, the checking page will have additional protein-specific checks. To obtain information for these analysis, user is encouraged to read the corresponding section on our MDWeb platform..
For PDB files containing multiple models (common for instance in NMR obtained structures), only one of the models can be simulated. 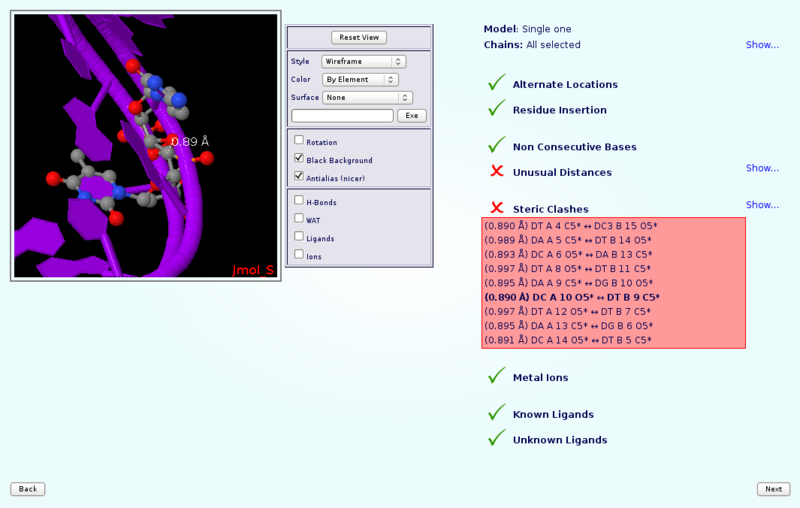 The interface shows a list of possible structure models to choose. 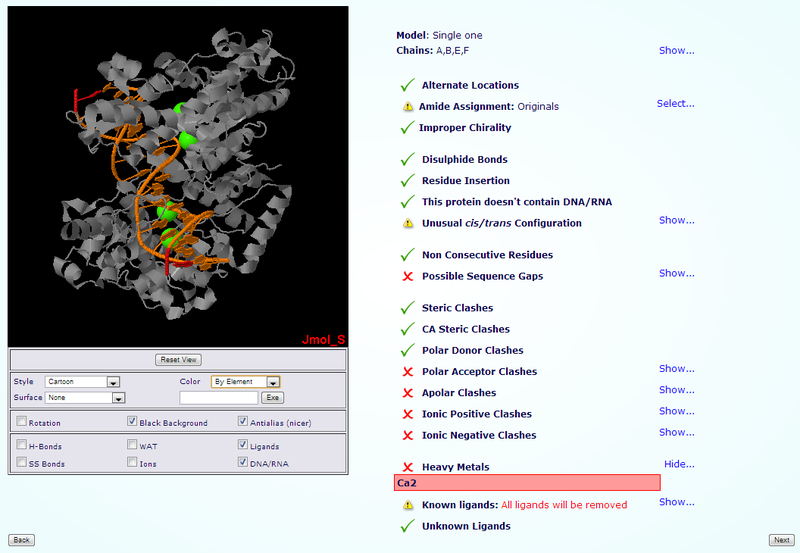 When chosen, all checking parameters are automatically recomputed with the selected model..
For structures containing several Chains, user can select the ones to be included in the simulation. A Jmol applet helps in the identification of the chains, highlighting them when passing over the name with the mouse pointer. Be careful that selecting non complete structures may lead to unrealistic MD trajectories. Please note that DNA sduplex trands are commonly placed under two different chain identifiers. Alternate Location indicators are used for atoms where more than one position is detected. Within a residue, all atoms that are associated with each other in a given conformation are assigned the same alternate position indicator. User can choose the residue alternate location of interest helped by a Jmol visualizer applet. When building nucleic 3D structures from a nucleotide sequence, it is quite usual to end up having non realistic bonds, or consecutive bases too far away from each other. This situation gives unrealistic structures where nucleic acid molecule is split in several unconnected fragments. Simulation of such structures will give untrusty results and should be corrected before continuing the dynamic simulation. NAFlex detects gaps both from the residue numbering and from non-realistic bond distances. Atoms that are too close in space can have a problem of energetic repulsion. NAFlex provides the list of atom pairs and the corresponding distances that can have potential problems. Most of clashes come from over-compactation of crystal structures and are naturally corrected on system setup or MD equilibration, but may lead to a significant distortion of the structure. Steric Clashes are the most common ones, and are defined as atom pairs with less than 1Å apart. Metals (Mg, Zn, Mn, Mo, Ni, Fe, Ca, Co, Cu, Hg, Cd, Ag, Au) are usually found making coordination complexes with Nucleic Acid bases (or protein residues). Metal complexes involve a complex chemistry and are not normallly covered by standard force-fields as they require a complete re-parametrization of both metal and ligands. Simulations of such complexes would normally require the setting of distance restrains to maintain the coordination structure. PDB specification contains an optional field, named Residue insertion code to allow structure providers to match residue numbering between molecules from different sources when insertions and deletions occur. Simulation setup will remove such field and renumber residues accordingly. The NAFlex checking page shows the set of residues with insertion codes in the Jmol applet. The majority of the structures in the Protein Data Bank have a non-standard residues included, identified as "heteroatoms" in the structure. Molecular dynamics force-fields contain parameters for standard amino acids and nucleotides but not normally for such compounds. To include a ligand in the simulation, the complete description of the ligand structure and the corresponding force-field parameters should be provided. 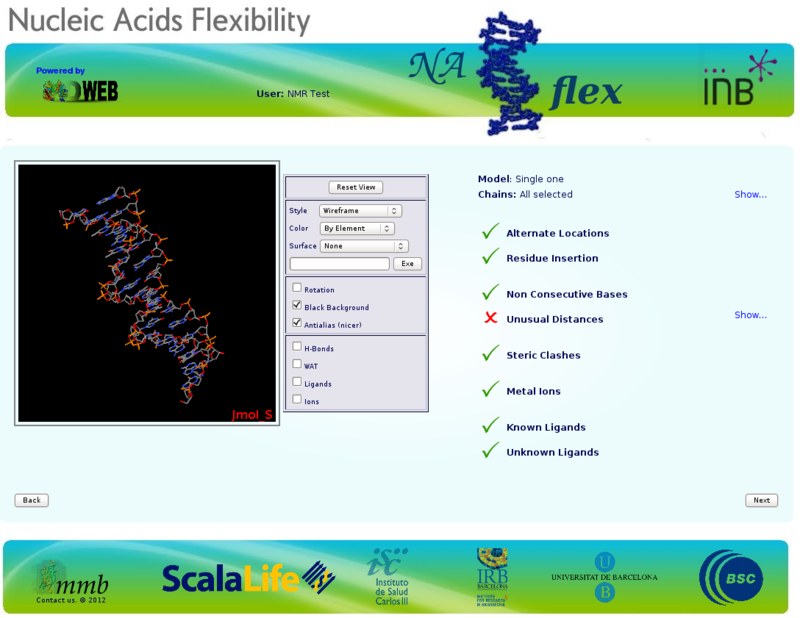 NAFlex contains an extense library of already parameterized ligands that can be included in the simulation ("known ligands"). The complete list can be found in the corresponding help section. 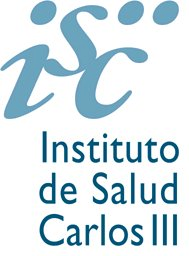 In the checking step, the presence of ligands in the structure, as well as the availability of the corresponding parameters library will be tested. In the case of unknown ligands, not available in the library, user will be prompted for the corresponding parameter data. Please note that the default behaviour of NAFlex checking phase is to remove ligands from the structure.